Heavy equipment clears the Bowman Park ramp on Wednesday. 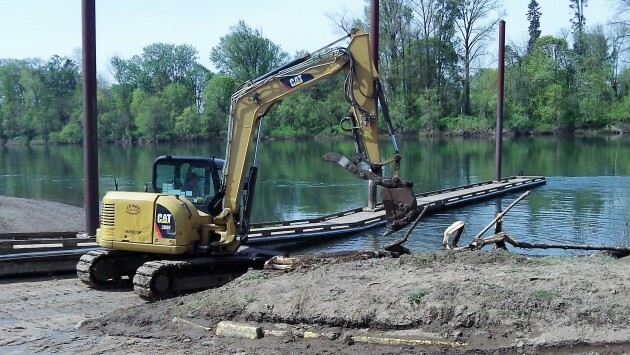 From the riverfront beat, good news for Willamette River boaters who like to use the ramp at Bowman Park. 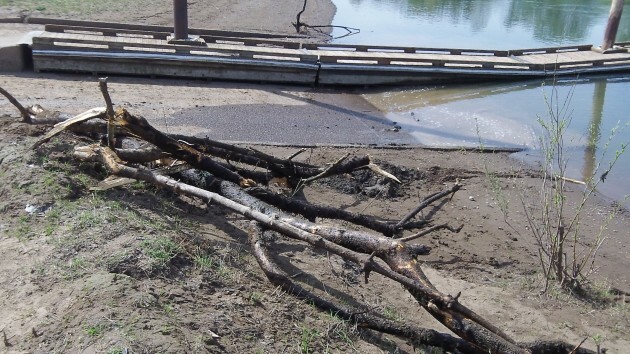 The woody debris made the ramp practically useless. But today, Wednesday afternoon, a guy from Hughes Excavating in Philomath was taking care of the problem, as you can see in the photo. By the time I got there on my bike, all the snags and branches had been pulled from the water and piled on the bank. And this is some of the junk that the operator pulled out of the river.